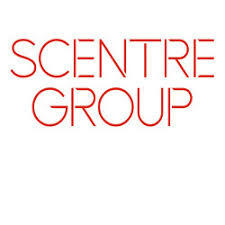 Scentre Group is the owner and operator of 40 Westfield shopping centres in Australia and New Zealand. Our purpose is to create extraordinary places, connecting and enriching communities. A career with Scentre Group fosters the chance to be part of a company that is transforming the digital and physical retail space. Work with great people and add value to a tangible product you can see. Westfield Chatswood is located on Sydney’s affluent North Shore, conveniently situated with easy reach of Chatswood train station, a major bus interchange and the Pacific Highway. We offer over 270 diverse retailers to our customers, as well as a vibrant and popular Asian dining market. We have a fantastic opportunity for an experienced Risk & Security Manager to join our team at Westfield Chatswood. This is a varied role, with a key focus on risk management, leading and directing the centre security function, and providing the optimal level of security and safety for our retailers and customers. Identify risks, recommending and implementing appropriate controls to manage within Scentre Group’s risk appetite including monthly CSA, Work, Health and Safety programs and managing security operations to ensure a safe workplace and a culture of "people protecting people"
As a part of our asset team, you’ll also have Duty Management responsibilities from time to time too, where you’ll be required to work a weekend shift (on a roster), which will be balanced with a day off in lieu. This is a permanent position with full-time hours. If this sounds like you, apply today to make extraordinary happen! Should you have any questions, or want to discuss the role further, please reach out to Ali Long, Talent Acquisition Business Partner, on 02 9358 7066. We have a fantastic opportunity for an experienced Risk &amp; Security Manager to join our team at Westfield Chatswood. This is a varied role, with a key focus on risk management, leading and directing the centre security function, and providing the optimal level of security and safety for our retailers and customers. We encourage and support our employees to find balance in their work lives and what is important to them outside of work by embracing a flexible approach to how they work. If you&#39;re able to perform the requirements of the role and need some form of flexibility to do so, we&#39;re open to your application and ideas on how we could make it work.